From Goodreads ~ Mike Filey's "The Way We Were" column in the Toronto Sun continues to be one of the paper's most popular features. In "Toronto Sketches 5", Filey brings together some of the best of his columns from 1996 and 1997. 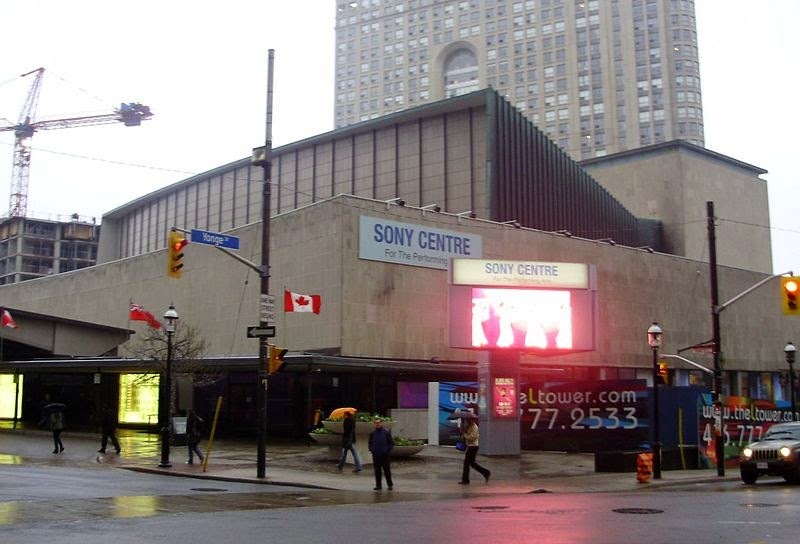 Each column looks at Toronto as it was, and contributes to our understanding of how Toronto became what it is. 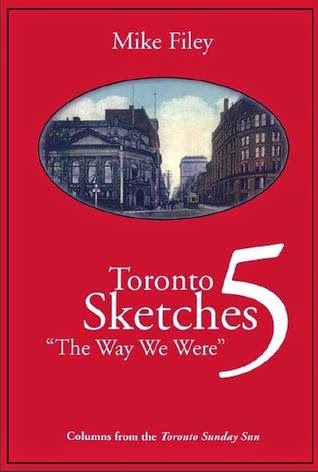 Illustrated with photographs of the city's people and places of the past, "Toronto Sketches 5" is a nostalgic journey for the long-time Torontonian, and a voyage of discovery for the newcomer. Mike Filey had a column in the Toronto Sun for about 30 years and I read it for many years (I like learning about the history of Toronto) ... this book is a compilation of some of his columns. 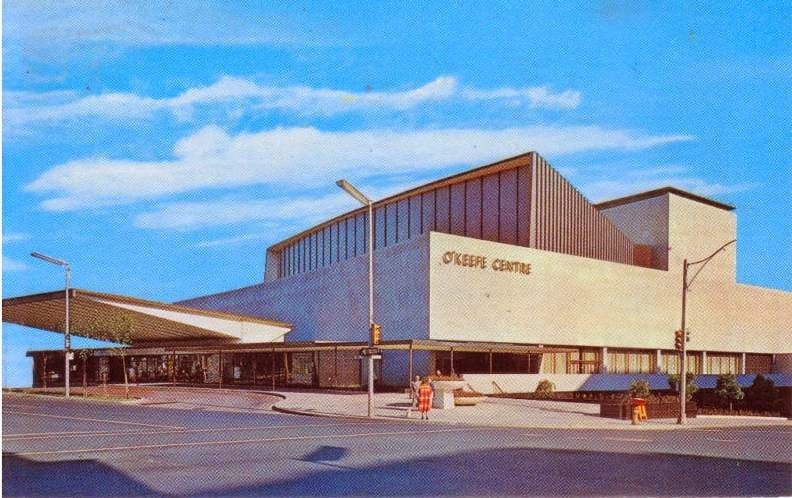 We learn about the history of the O'Keefe Centre (now the Sony Centre), ringing in 1946, Yonge Street, from Downs View to Downsview, the deadly flu bug of 1918-19, etc. Even though the book was published in 1997, it was still an interesting book because it dealt with many historical events in Toronto. Plus since it was published in 1997, it was interesting to see what was going on back then and what has changed. For example, back in 1935 a tunnel was started under the channel making a connection to the Island Airport. A change in the government had the money promised taken back, the hole was backfilled and the project terminated. Over the years, the talk of a tunnel kept coming up but according to the book, never happened. 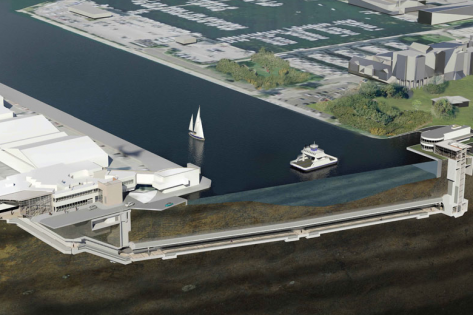 In 2012, 15 years after the book was published, construction started on a pedestrian tunnel to the airport that is supposed to be finished this year.